RYAN: This movie starts out in 1809 and covers slavery in a way that should be required viewing – it’s, as ever, an outrage and a necessary education. 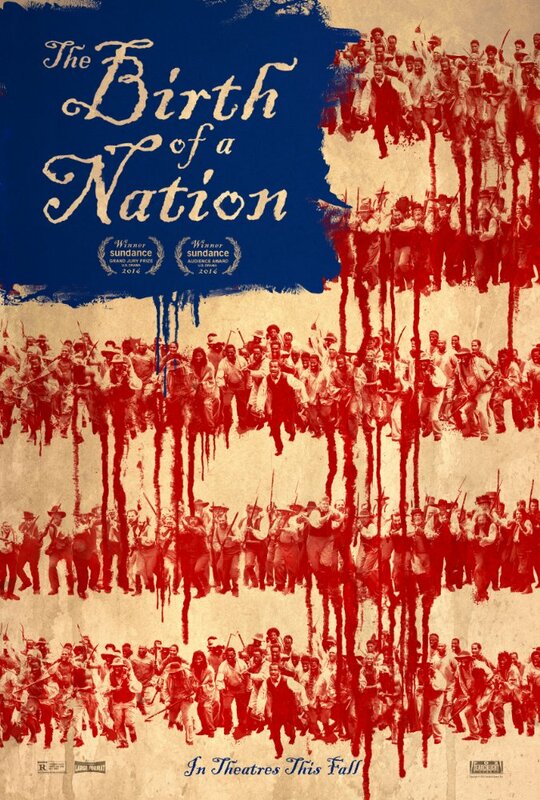 This is based on the true story of Nat Turner, a slave who fought back, in a way making this a loose non-fantasy version of Django Unchained. BECKY: (laughs) I can see what you mean. RYAN: This is written by, directed and produced by and starring Nate Parker. And everything about it deserves awards attention. 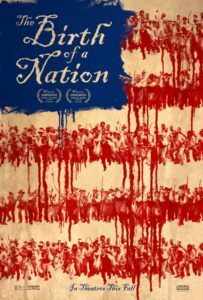 There is controversy surrounding his personal like and how it may have influenced part of the inaccuracy in bringing the story of Nat Turner to the screen. But judging it on its merits as a cinematic event, it is brilliant. Before seeing the rest of what’s to come this year, I would vote this best picture in this moment. I was so shocked and moved by this at one point, I felt like my should had to leave my body and I had to become numb to keep watching. It’s nothing you want to see because it’s real. Things like this happened, and even worse. And acknowledging it is awful. BECKY: Acknowledging as a species that some people are capable of such heinous behavior is a hard thing. It opens with the African flavor which was hugely powerful because it emphasizes how ripped apart they were from where they came from. They were captured and enslaved. It’s horrible to think about but as you said, very important to. RYAN: It’s different from 12 Years a Slave where the slave owners all had different attitudes. In this film, even the ones you think may have a heart show their true colors. I love Armie Hammer was always look forward to seeing him on screen but it’s just horrifying watching him in this at times, and I that is a testament to the strength of the script and his performance. You don’t wanna see someone you like as a slave owner. Penelope Ann Miller as his mom was phenomenal. BECKY: There is no such thing as a good slave owner, inherently. There just can’t be. Even if they don’t beat you, they are still dominating and imprisoning people against their will. RYAN: The violence, the fear, the mistreatment, humanity of it all is almost unreal and past what you could believe occurred. And believing it almost makes you want to vomit. A bit of balance here, though, with a romantic subplot between two slaves – Nate and costar Aja Naomi King, who I love on TV’s How to Get Away with Murder. You wouldn’t even recognize her here. I was shocked at how good she is. And as brutal as this film is – is as beautiful as their love story. BECKY: Their love story was powerful. But I want to note that it was also made obvious how the children are raised in this culture and that is a very harsh point to realize. You have to learn hatred and racism. RYAN: Coleman Domingo was outstanding in a supporting role. I’ve seen him do so many different types of roles – from comedy to musical to this heavy drama – he genre hops effortlessly. He gave me the chills in this movie. He has one line, in particular that makes you want to stand up and shout, “Yes!” He sears through the screen; so multitalented. BECKY: This movie and message is very powerful. I don’t know anything about this director as a human being, but he made an amazing movie. It’s a beautiful piece. RYAN: I agree completely. Technically there is so much to rave about. The score is incredible and soaring. There was a couple moments where it punctuates what’s happening and can make you feel the weight of it all. Inspired in sweeping moments. BECKY: The score and image played so well together. Even the violence plays so well – and for all that you know I hate montages, there’s a really great one in this movie. Thank you. RYAN: The cinematography – the trees, the houses, the fields – almost looks like a storybook fairy tale. BECKY: Even in the end it’s all shot it in an epic way. Even in this horror, the camera finds beauty. RYAN: The soundtrack is haunting too. And some images can haunt you or give nightmares. But cycling back to what I said initially, the power of a story, the imagery – seeing this in schools could have more educational impact that just reading about it in a textbook. It makes you feel. BECKY: And it sparks a conversation not only about facts but about feelings and that is something not to shy away from. RYAN: It’s a remarkable film.